Saving money may sound easy, but it can be difficult when your income is low. Sometimes after paying the bills, a consumer hardly has enough money left for fuel, much less putting money away into a savings account. Fortunately, even people with low income can find a way to build a decent savings fund. The process of saving when income is low involves a bit of strategy, calculating and planning. It is not easy to save money when your income is low, but it is possible if you have the right attitude. To be successful with anything, you must have a positive attitude. You must believe that you can achieve your goals no matter how large or small they may be. Saving money is a goal that requires you to have a positive outlook. Step one in building up the amount of savings in your savings accounts is convincing yourself that you are going to save a certain amount of dollars every week from your pay. Next, you will have to work around making that amount of money available every week. Sometimes you need an old-fashioned pen and paper to see your financial profile clearly. Calculate your total income and subtract your debts from that. Your debts will include your household bills as well as your credit card payments and auto notes. The figure that you receive after subtracting debt from income is your available cash. 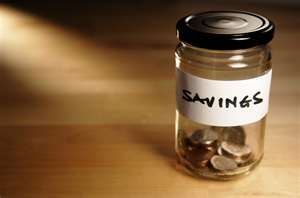 If you have enough cash available to add to your savings account, then saving money will be easy for you. However, if you find that you do not have any available cash, then you must do some adjusting to make the savings money available. One thing you can do to save money is earn more money. You can ask your employer for more hours. If your employer cannot offer more hours, you may be able to perform some tasks online to pick up extra money. Freelance writing is one possibility. Multilevel marketing is another idea. There are also search engine jobs that will allow you to earn a small amount of cash to put into your savings account. A little extra work can solve the problem of limited income very quickly. Cutting costs is another way to work around having limited funds for savings. You can cut costs easily by asking yourself if you need all of the services you have in your home. You may find that you can edit your cell phone services enough to come up with the savings funds. You might also be able to make the electric bill lower by making some minor adjustments. Additionally, you could drop a premium channel from the cable services to save money. Many people who need extra money sell items online to bring in extra income. You might be surprised how many valuable products you have in your home that people desire. Look around carefully to see what you can find. Listing some of those items on online auctions is very simple and cost effective. Many online auctions sites will not charge money for listing your products. You can use the extra cash from the auctions to add to your growing savings account. The previously mentioned tips are just a few ways you can save money on a low income. You can begin with these tips and develop further creative ways to save money. Start today and watch how fast your savings account grows into something great. My friends and I have made a lot of money selling on local facebook groups lately. They are popping up all over. Just search the name of your city or area and yard sale on Facebook. If there isn't a group start one up. There are no fees and you get to at least "see" who you are selling to first. Yes, we do that here as well- thanks for bringing this point up.We love it as well! In terms of cutting costs, I've found that by calling providers (phone/cell phone/internet) and asking for ways to lower the bill, I've been able to get anywhere from a few dollars per month up to 20 or 30 bucks per month off my regular bills. It all helps! I get in and out of my money saving moods. I find sometimes I try harder than other times. Thanks for sharing- I hope it encourages others to do the same with their providers.